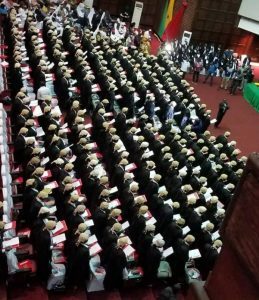 Thirty-three alumni of MountCrest University College (MCU) were among 279 new lawyers who were called to the Bar at a ceremony in Accra on Friday, 5th October 2018. 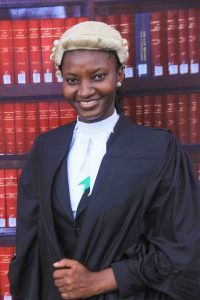 The keynote address at the Call ceremony was delivered by Her Ladyship the Chief Justice, Ms Sophia Akuffo. 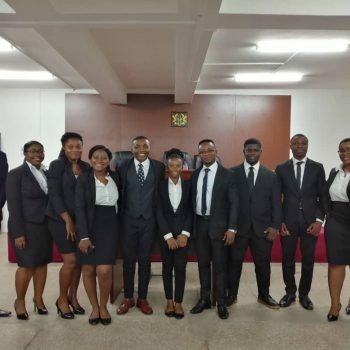 In her address, Ms. Justice Akuffo, advised the newly called lawyers to take their Professional Code of Ethics seriously and avoid brushes with the law in order to ensure that no disciplinary proceedings or criminal prosecution were instituted against them. 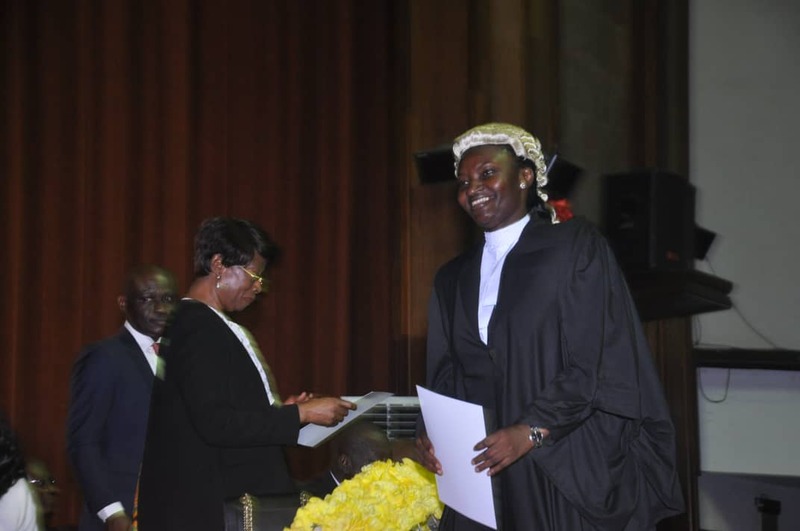 Ms. Justice Akuffo also urged the new lawyers to emulate legal luminaries such as the late Professor Justice V.C.R.A.C Crabbe, and the late Dr. S.Y. 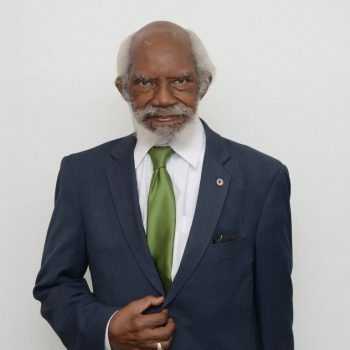 Bimpong-Buta in building exemplary careers that were of great benefit to the country and the world at large. 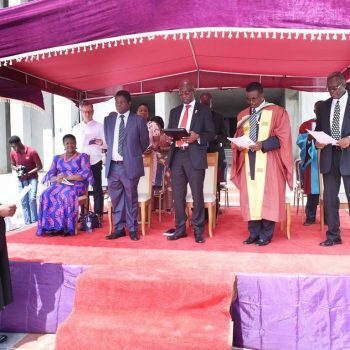 The Minister of Justice and Attorney-General, Ms. Gloria Akuffo, a Supreme Court Judge, Mrs. Justice Sophia Adinyira, and the President of the Ghana Bar Association, Mr. Tony Forson, took turns to present certificates to the new lawyers. Special prizes were awarded to deserving newly-enrolled lawyers. The prize for the best student in Alternative Dispute Resolution was awarded to MCU Alumnus Ms. Khadija Nubalanang Jakalia, continuing the trend of excellence set by the pioneer students of MCU. 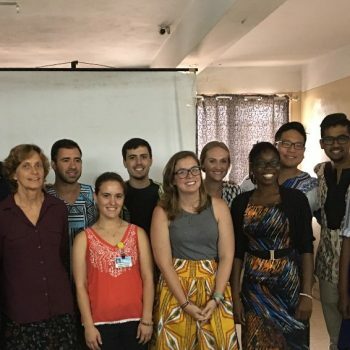 MCU alumni have performed impressively at the Ghana School of Law, year on year, since the entry of its first batch of graduates in 2014. 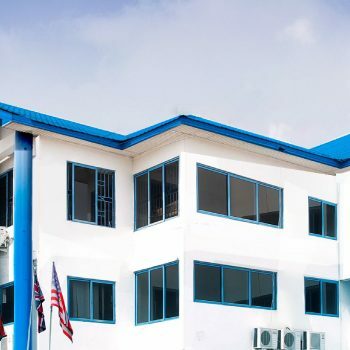 Out of a total of eleven Faculties of Law in the country, at least 15% of the School’s successful entrants since 2014 are alumni of MCU. 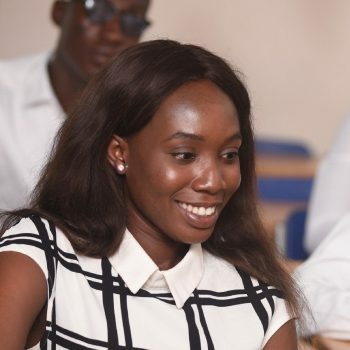 Seventy-six (76) out of a total of 460 successful applicants (16.5%) for the most recent entry into the Ghana School of Law (October 2018) are MCU graduates.